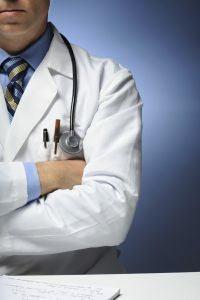 Last week I told you about the dwindling number of doctors who after spending years in medical school and are burdened with obscene student loans want to sully themselves as abortionists. Because they and a growing number of medical professionals don’t want anything to do with the killing of preborn children, pro-abortion activists adopted an alternate strategy. But that’s just one of two changes in tactics. And the second is just as ominous as the first. The fact that human life begins at the moment of fertilization is a well-established and documented medical fact. It’s also an undeniable truth that abortion is the brutal and savage killing of an innocent child in the womb. This is why we’re slowly but surely winning America’s hearts and minds on abortion. And the impact is being felt on the bank accounts of the remaining abortionists. Pro-abortion activists are at a loss of how to stop this shift in public opinion. What do you do when you can’t effectively debate abortion on the facts? Besides lying—and they do plenty of that—they attempt to silence the opposition. Censoring the pro-life message is growing in popularity and taking on multiple forms. Let me share a few documented examples with you. The most prolific instances of pro-life censorship are in academia, a place where censorship in any other form would be fiercely condemned to the likes of drowning puppies. We’ve long ago lost count of how many high school students were told to turn their pro-life T-shirts inside out or go home. Or the number of public displays on university campuses like the white crosses that have been viciously vandalized, with very little response from campus authorities. The censorship also exists inside the buildings of higher learning. Lia Mills was attending a class conducted by a raving pro-abortion feminist who used inflammatory language to describe pro-lifers. When Lia diplomatically stood up for her beliefs, she was castigated by most of the class and actually banned from a class Facebook group based solely upon her opinion. A columnist for The New York Times (surprise) took the Big Apple to task for dolling out intolerance when those with the most political muscle witnessed a message contrary to their own. A pro-life group called Life Always paid for a billboard in SoHo. It depicted a young black girl with the following caption: “The most dangerous place for an African American is in the womb.” This is a factual statement. After boarding an United Airlines plane Lila Rose, president of the pro-life group Live Action, wanted to browse her website but found it was blocked, even though Planned Parenthood and NARAL’s sites were readily accessible. Later United said it was just a big mistake but I don’t believe that for a New York-second. You may recall United’s top executive once held a posh Planned Parenthood fundraiser at his personal home. Local city governments often extend the long arm of censorship. A case that went to the Seventh Circuit Court of Appeals resulted in a ruling against Ft. Wayne, Indiana city officials who had censored pro-life advertisements. A local pro-life women help center that provides free critical resources to pregnant women in need posted ads inside city buses only to have them removed, while at the same time running similar ads by the United Way. The court sided with the center. There’s no place where free speech is feared more than in front of abortion facilities. Rev. Walter Hoye, II and others often stand outside an Oakland, California abortion mill offering free assistance to pregnant women going in for abortions. Their presence was so successful; it cut into the profits of the abortion business, so city officials passed the Bubble Ordinance which prohibited sidewalk counselors within eight feet of women entering the facility. The law only applied to pro-life advocates and Rev. Hoye was arrested for violating the law. A court ruling vindicated him and other pro-lifers, protecting their right to free speech. You can watch our TV episode of Facing Life Head-On featuring Rev. Hoye’s ordeal. Both Twitter and Facebook have recently been accused of censorship when it comes to the free speech of conservatives by blocking posts the social media kingpins oppose. Bryan Kemper, the Youth Outreach Director for Priests for Life, and Andy Moore created a pro-life graphic that went viral. Bryan quickly received a message from Facebook informing him that the image had been taken down and ordered him to remove it from any other posting on their site. However, Facebook had a decidedly different approach with abortionist Rebecca Gomperts who posted do-it-yourself instructions for a chemical abortion. This post remained accessible to the public even though the action is illegal and that she urged women to lie to pharmacists as to why they were purchasing the drugs. I’ve often quoted my pro-life colleague Father Frank Pavone who said, “America will not end abortion until it sees abortion.” Both the human tragedies of slavery and the holocaust were ended when enough people were exposed to the ugly, brutal truth of what was happening. And it will be the same with abortion. So I, along with tens of thousands of my fellow pro-life advocates, will not stop educating Americans to the ugly, brutal truth of abortion until it’s eradicated from our shores. 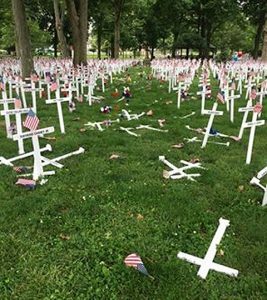 We need every foot soldier we can get, so whether your ability is to join in our advocacy efforts or financially support the troops, we need you now to help bring abortion to an end. This entry was posted in 2016, Planned Parenthood, The Latest by Bradley Mattes. Bookmark the permalink.